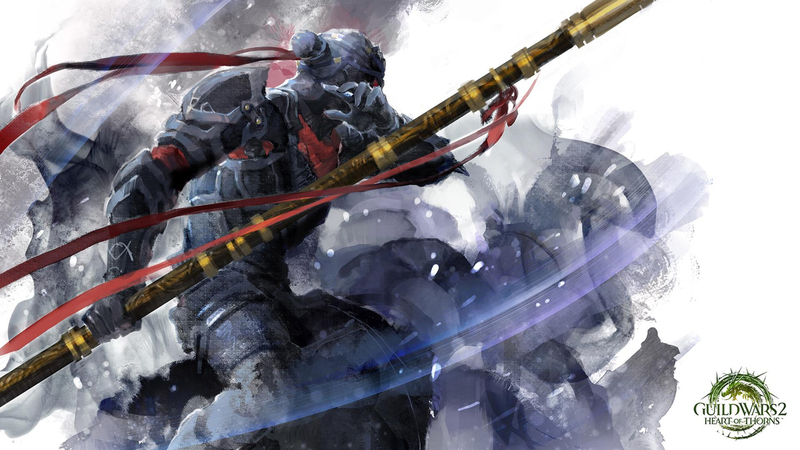 Yesterday afternoon ArenaNet revealed the teaser image for what is expected to be the thief elite specialization. With its name already datamined (Daredevil) I have to say that I’m both excited and disappointed already. Firstly, I will never - ever - feel comfortable with the name. It’s just too synonymous with Daredevil, Marvel’s stick wielding, red suit wearing Hero. What does excite me when it comes to the Daredevil is the fact that it wields and staff: my favorite weapon in any game. As to what the staff will do - I honestly don’t know but I’d guess it’s a form of soft crowd control or deals condition damage (confusion, torment, cripple, bleeding) to allow the Daredevil to build on pistol use. My one concern when it comes to the staff is the fact that regardless of how good it is (whether power or condition based), Daredevil’s are never going to abandon shortbow. The mobility shortbow affords is invaluable and players will never give it up. Although that’s a wider problem that needs addressing with the thief, it seems a shame that it’ll always be shortbow accompanying another weapon. There was a rumour a while ago that the thief would receive kits and I have to say, it’d be a lot of fun if you could only use staff and then kits as your utilities (this would simultaneously address the shortbow issue) I’d be well and truly excited. Coming back to skills, I really do think the thief needs to have better condition options and it’d be rather fun if the Daredevil built on the typical ninja with smoke bombs, ninja stars and distraction (rather than just stealth). On a side note, a handful of new information regarding the Daredevil has surfaced. What do you hope the elite specialization brings to the thief? [Update] It looks like the Daredevil has had loads of skills datamined. Having looked through the skills, it's pretty evident the elite specialization is going to focus on evades rather than stealth but also that the staff provides a host of mobility and CC.